US Navy Lieutenant Commander Paul Nagy, USS Philippine Sea, and Carol Armstrong, wife of Neil Armstrong, commit the cremains of Neil Armstrong to sea during a burial at sea service held onboard the USS Philippine Sea (CG 58), Friday, Sept. 14, 2012, in the Atlantic Ocean. The first man to walk on the moon was a Navy man before joining NASA as an engineer, test pilot, astronaut and administrator. 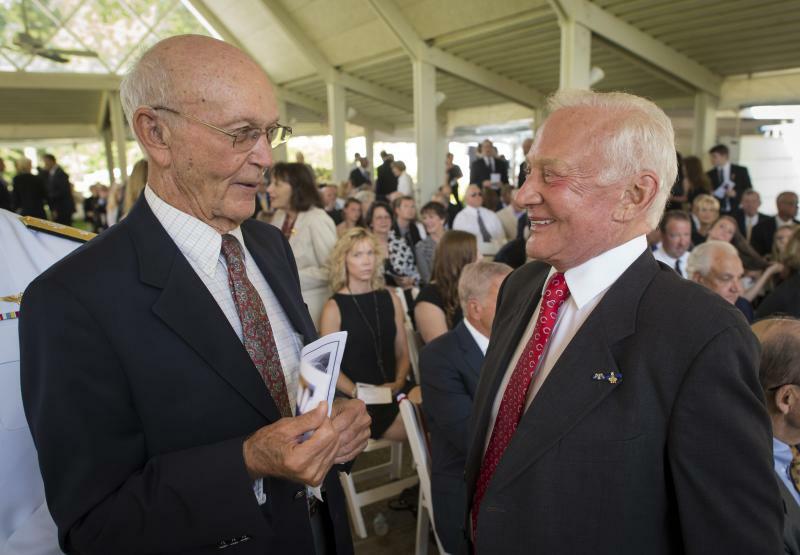 As a naval aviator, Armstrong flew nearly 80 combat missions during the Korean War. Secretary of the Navy Ray Mabus says, "Neil Armstrong rightly belongs to the ages as the man who first walked on the moon. While he was a true pioneer of space exploration and science, he was also a combat-proven naval aviator. 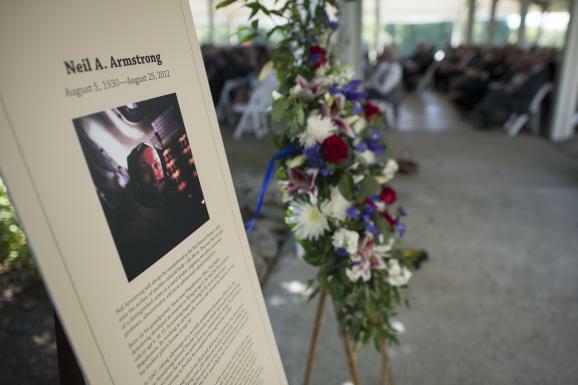 Naming this class of ships and this vessel after Neil Armstrong honors the memory of an extraordinary individual, but more importantly, it reminds us all to embrace the challenges of exploration and to never stop discovering." The outpouring of condolences and kind wishes from around the world overwhelms us and we appreciate it more than words can express.